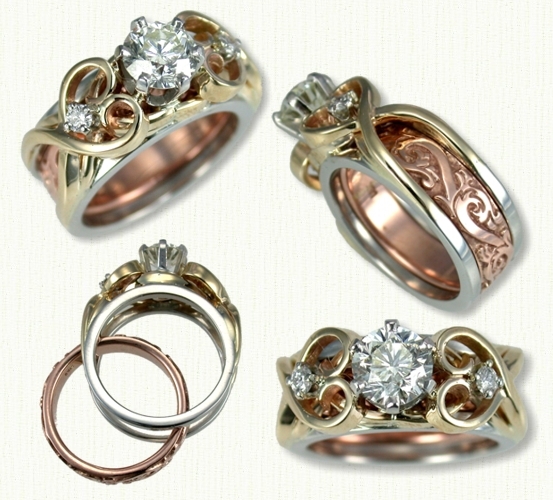 Shown: Lacy Hearts Reverse Cradle with Platinum Rails, Platinum Head & 14kt Yellow Hearts. 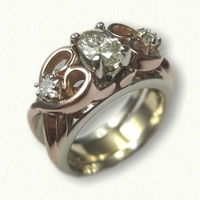 Ring is set with 1.01ct round Diamond and (2).04ct side diamonds (center stone set higher). 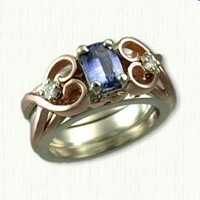 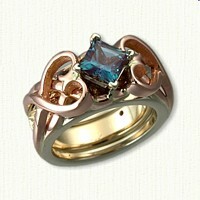 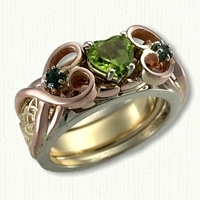 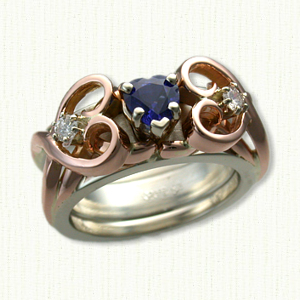 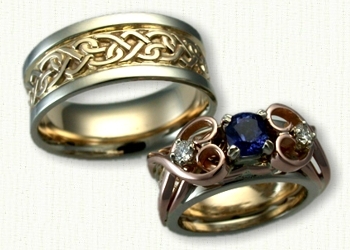 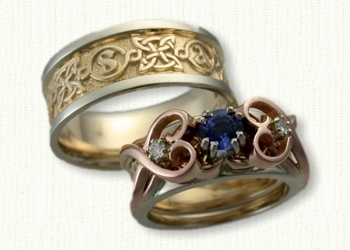 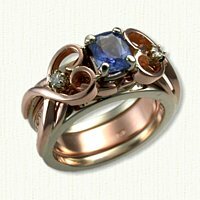 14kt Rose Gold Leafy Scroll inside wedding band.